Lots of schools and even colleges provide their students with uniforms and force them to wear it every day. Thus, lots of students and their parents protest against this rule, claiming that everyone has their own right to express personality in any possible way. Indeed, it is written in The Universal Declaration of Human Rights and is a good argument in defense of students’ rights. Let’s look closer on why school uniforms were initially invented. At the beginning, school uniforms had quite a different purpose comparing to contemporary ones. The rule of wearing such clothes was invented for some teenagers who would dress in gang colors in troubled areas. After the rule was established, changes in students’ attitude showed up. Teachers have noticed that academic performance became better and moreover self-control increased. Thus, other schools followed this example and the era of school uniforms arose. On one side, we can find out that wearing a school uniform isn’t as harmful as people claim. First of all, studying process is connected with expressing our identities, but you can never express it only with the help of your clothes. It is your inner world, interests, knowledge that should show other people who you are, but not the way you look like. We shouldn’t judge the book by its cover. Besides, our outlooks not necessarily show our real personalities and character. Apart from that, researchers claim that casual and colorful clothes can distract you along with other students in class or can waste your time in the morning when choosing what to wear. At the same time, some of the schools can get really strict with uniforms and may punish you if you wear another color of socks or if your tie is different. Along with that, after graduating lots of students have no sense of personal style at all, as they got used to wearing the same clothes all the time. Thus, such people need a help of a good specialists when they grow up and often have psychological blocks in their mind. What is worse, school uniform doesn’t really fit everyone. For example, chubby people are ashamed to wear it, as they often get laughed at. Thus, such students can suffer from bullying at school and thus acquire unconfidence. Many researches were held in order to make one final decision about school dress-code. But in most cases they were not successful, as there is no one privilege opinion about this issue. 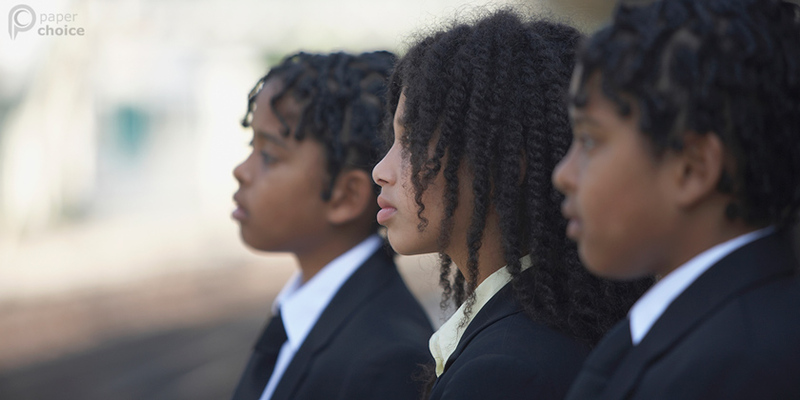 A great number of children (44%) have no adamant decision and say that everyone should wear what they want. 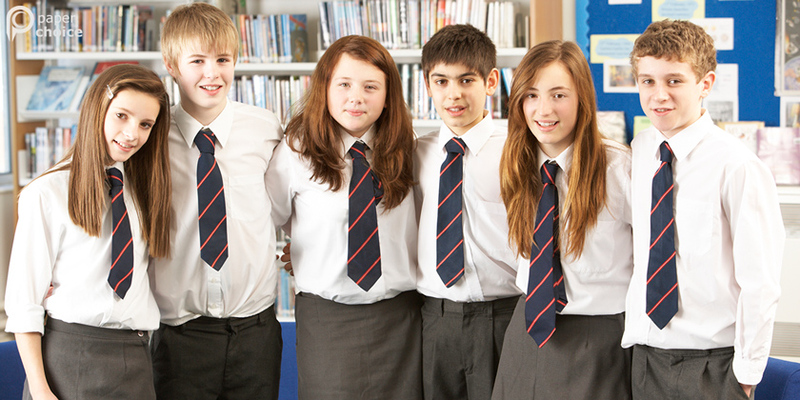 Around 33% of pupils like to wear uniforms and 20% don’t. One of the best solutions here would be to provide students with a certain dress code. Thus, they would have their own freedom of choice but at the same time, they wouldn’t move boundaries. Students can choose different skirts, dresses, ties as soon as they express official style. In this way, you can express your personality, but without breaking the rules. Lots of parents would agree with such a decision and an endless number of debates would be finished. Anyway, you should remember that it is up to you whether to wear one or not, but if you want to study in some prestige schools and colleges, be ready to represent its face in a proper way. Along with that, try expressing yourself with the help of your knowledge, talents and additional qualities, which will make you stand out of a crowd. Rated 4.4 | From 299 users.